My eyes had been open all week, taking in the poverty, the difficulties and challenges, and the sometimes seemingly hopeless situations of the families we visited. My heart was full of the details of their lives, of their struggles and their hopes. I saw the pain in their eyes as they shared their stories, the raw, human pain, and it hurt to see it. There were broken families, alcoholism and even death, all to be dealt with in addition to unimaginable poverty. And on the last day of home visits, we met another family living in poverty, this time in a dangerous “red zone” in Guatemala City. This family also was struggling with challenges, but my heart was too full, there was no more room to squeeze in this family’s story. Or there was room, but this family’s reality hurt too much to let it in. It was like the last drop of water before the bucket overflowed, and frankly, I was tired, and didn’t want the bucket to overflow. Jonathan receiving gifts as his sister, holding her baby, looks on. Somehow unable to take in even one more detail, I can’t remember the name of the woman and her child, whom we were there to meet. And I can’t remember the name of the woman’s mother, who lived next door. But I can’t forget the woman’s little brother, Jonathan. The beautiful boy, 9 years old, with jet black hair and bright green eyes, striking eyes if you were fortunate enough to get a glimpse of them. He stumbled out of the door with his mother following close behind, as we met his sister and baby nephew. He was clean, well-cared for, dressed in a nice button-up shirt with a collar, but it was clear in his manner and in his walk that something wasn’t right. He kept his head down, shuffling around in random paths, like a toddler, and his mother followed him, keeping him safe, as if he really were a toddler. The uneven ground he navigated, cluttered with rocks, buckets, bricks, posing danger every few steps. Jonathan’s mother told us her boy had a seizure when he was three years old. He was a healthy boy at the time, walking and talking as he should at that age. But after the seizure, Jonathan had to learn to walk again. He hasn’t learned to talk again. Taking in the horror of that life-changing event, imagining this mother seeing her healthy son completely transformed was difficult to comprehend. But trying to imagine Jonathan’s future now, in this place, was even more difficult. He is already almost his mother’s height, growing stronger and taller each day. How will she follow him and keep him safe in a few more years, when he outweighs her, when he grows into a man? How will she protect him in this harsh environment, where his disabilities make him especially vulnerable? And why? Why would God give this family this particularly difficult challenge? It’s been five weeks since we met Jonathan, and still I have no answers to these questions. My heart breaks for him. God has plans for Jonathan. He cares for him, and is with him always. I will pray for Jonathan often, and ask you to do the same. 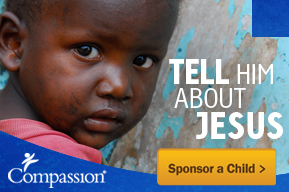 This entry was posted in Compassion International, Guatemala and tagged Guatemala, poverty. Kerri, this is so beautifully written I could feel the pain and the compassion you feel for Jonathan and his mother in your words. Sometimes its just so hard to understand why and all we can do is pray and cling on the the promises in God’s words ..which is what you are doing. Thank you for your kind heart that is full of love for these families and thank you for sharing what I am sure must have been hard to write about. God bless you. Thank you for your kind words, Terri. What a hard thing to process. I just love your heart for Jonathan and know that God brought you there that day so you could be a life long prayer advocate for him and his mom! I remember meeting a child in Bolivia with burns that smelled and looked more terrible than I’ve ever imagined. I still pray for that little guy and my son shares his name, Juan Carlos. I don’t understand why God allows accidents like this. But I do know He places these children in our path for a reason. I like your take on the situation, Hannah. Thank you for sharing your experience as well. Thank you for your comment, Diane. Yes, seeing people living in these situations really does make your heart ache. Kerri thank you for the moving story. I pray and hope that God will come to help the Jonathan family. Thank you for your prayers for Jonathan and his family, Nicholas. God bless you. Dear Kerri I understand your confusion…… And why? Why would God give this family this particularly difficult challenge? Lamentations 3:33 For God doth not afflict willingly nor grieve the children of men. God did not plan this for Joanthan the same as He did not plan for me to be Born disabled or to be molested as a child and raped as a young Teenager or to be bashed as a young pregnant wife or for my 7 babies to die before they had a chance to live. Everything God made was very good but evil is now part of our world and Satan controls it. The Truth is that God does not plan evil to bring good out of it, the Scriptures tell us to say this maliciously even about Christians is slander but for years I believed this lie too, I was deceived and so never understood how great God’s Love is, He grieves to see His children suffer but for us His redeemed Children, He works it all for good in our lives. There is much more I could share Kerri but what we all need to hold close to our heart is whatever we suffer as the Scripture below confirms, we do not suffer alone and God gives us the strength to endure. Why does it continue, if He was to stop all evil He would have to end this world now but He is patient not wanting anyone to perish, meaning to be Eternally separated from Him, it broke His heart to see His beloved Son Jesus suffer and die but He Loved us so much He let Him choose to redeem us for Eternity. He also motivates Loving hearts like yours Kerri to reach out to a hurting world and not just for material needs but for Spiritual too, God bless you greatly as you continue to show His Love and Compassion wherever your heart leads you. Hi, thank you for taking the time to post such a thorough response. It gives me a lot to think about. God’s peace!